The customer requested that the old door on the cupboard be removed and a sliding mirror door installed. The width of the sliding mirror door was larger than the original door. 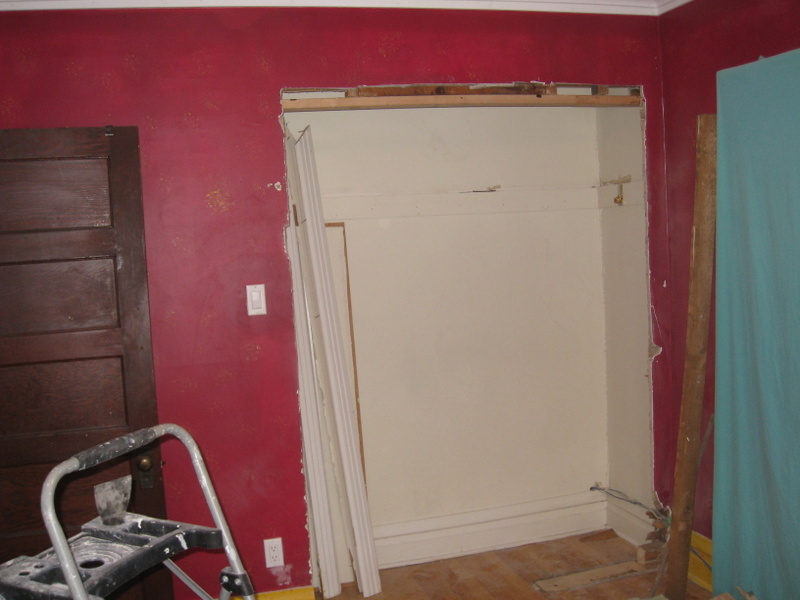 This required breaking the wall, which was made of plaster, and installing a frame to hold the sliding door. 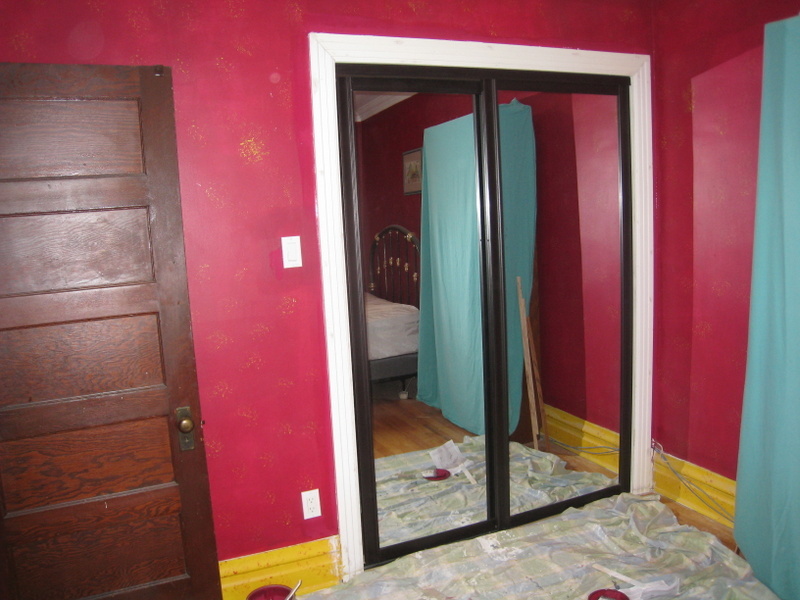 The trim and molding were replaced around the door and the sliding mirror door installed. A totally new look!